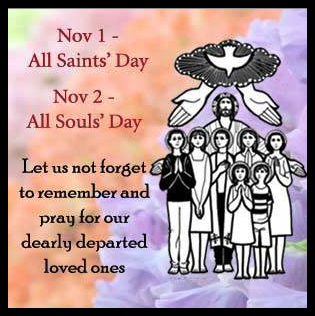 Tomorrow ( November 2 ) is All Souls' Day. Traditionally, Filipinos celebrate All Souls' Day every November 1, which happens to be All Saints' Day. All Souls' Day must be observed every November 2 because that is the real day of prayer for the dead, particularly but not exclusively one's relatives. 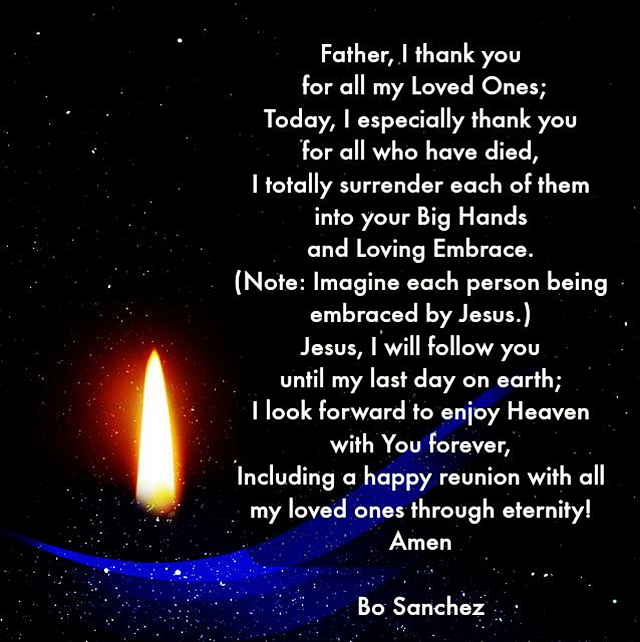 Let me share to you brother Bo Sanchez prayer for our departed loved ones. I totally surrender each of them into your Big Hands and Loving Embrace. Including a happy reunion with all my loved ones through eternity!